It could be anything from changing the oil in your car to making your own fun, but it definitely feels like the older generation was more, well…self-sufficient. At least, that’s what everyone from the media to parents would like you to believe. In reality, the Millennial generation has gotten a bad rap. Terms like “failure to launch” don’t capture the whole Millennial story – a story that’s far more about self-reliance and side-hustles than sponging off our parents. In fact, the New York Times has called Millennials the “Self-Sufficient Generation” because we’re more independent by a number of metrics – financially, socially, and politically. We even cook more for ourselves. Here at Primer, we’ve known this for years. Our readers are independent, inventive, and savvy. Just check out our DIY archives – many of our best project ideas come from reader comments and emails. 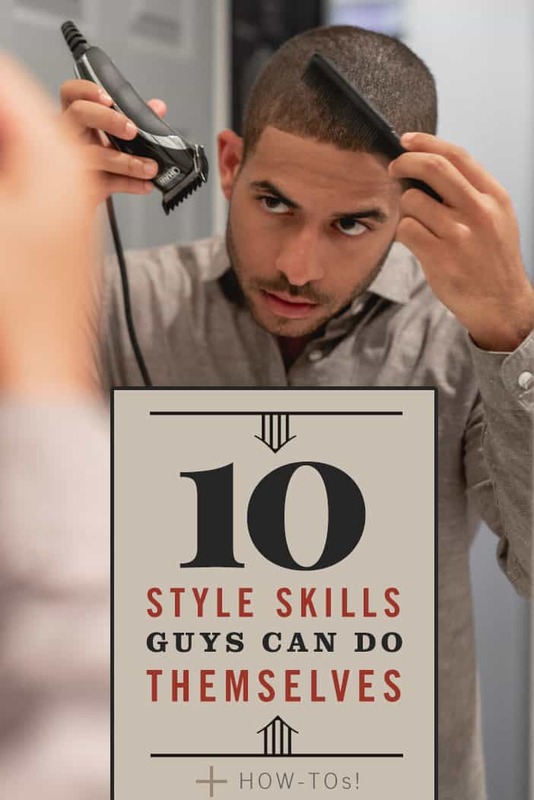 So in that spirit, here are 10 style skills every self-sufficient guy can practice – and master. What’s more confidence-inspiring than a fresh new haircut? The problem is, I work. Sometimes, I work a lot. And if I have a choice between a haircut and hitting the gym or seeing my friends – I usually skip the cut. For a lot of guys the most convenient option is to cut their own hair, and who can blame them? It can be done anytime and anywhere — and it’s not as hard as you may think. The first step in cutting your own hair? Consider getting a quality clipper like a Wahl Comfort Grip Pro. Designed specifically for guys looking to do home haircuts, this clipper is 25 percent smaller than Wahl's standard clippers, making it more maneuverable in the mirror and forgiving for novices. The rubberized, ergonomic grip makes the Comfort Grip Pro easy to hold at all angles. A high-torque rotary motor ensures you never deal with snags. It comes bundled with an enormous number of accessories that mean you’re equipped – out of the box – with everything you need for a variety of haircuts. In addition to 12 snap-on attachment guards, the kit includes a cleaning brush, blade oil, scissors, two combs, and a beard brush. The smaller size and ergonomic design make the Wahl Comfort Grip Pro ideal for facial hair trimming and body grooming, as well. 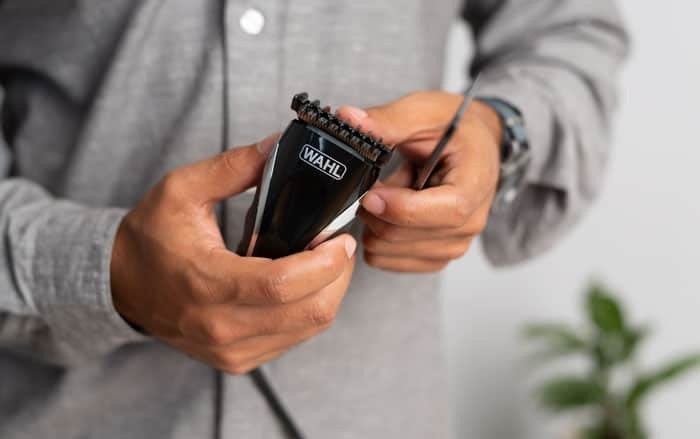 Affordable, high-quality clipper options like the Wahl Comfort Grip Pro and the explosion in DIY hair-cutting guides on YouTube mean the path to cutting your own hair has never been more attainable. What’s one thing you can do with a hammer, screwdriver, pliers and a paperclip? If you said “safe cracking,” try again. Getting a new watch is always fun. Discovering it doesn’t fit quite right… less so. There’s no need to hit up your local jeweler, however. With a few household tools and a quality YouTube tutorial, you can learn to size your new watchband up or down. While the production quality is distinctly early 2000s, this guide from The Coin Outlet shows you how to resize your watch band – and even remove links – with ease. If you’d prefer proper tools (as we always do), this highly reviewed watch kit is only $17. Getting off-the-rack shirts is by far the most cost-efficient way to build this segment of your wardrobe. The problem: the 5-sizes-fits-basically-no-one system we’ve railed against in the past! You don’t have to settle for too-baggy shirts. And you don’t have to drop a small fortune on custom-fitted clothing. There’s a third way: tailor them yourself. Purchasing a pair of high-quality leather boots or shoes is super satisfying. You’re making an investment in both your style and function, with style to boot (eh? eh?). But investing in a pair of boots doesn’t end with plunking down your credit card. As an organic material, leather requires upkeep if it’s going to last for a thousand miles…or more. Looking good isn’t just about what you’re wearing – it’s about your whole style workflow. A poor style workflow can mean being rushed in the morning, not doing laundry regularly, or storing your clothes improperly, increasing wear and tear. The single biggest skill you can acquire to boost your style workflow is taking control of your clothing storage. How? Implement a system to simplify decision making, and cull the herd to maximize your space. 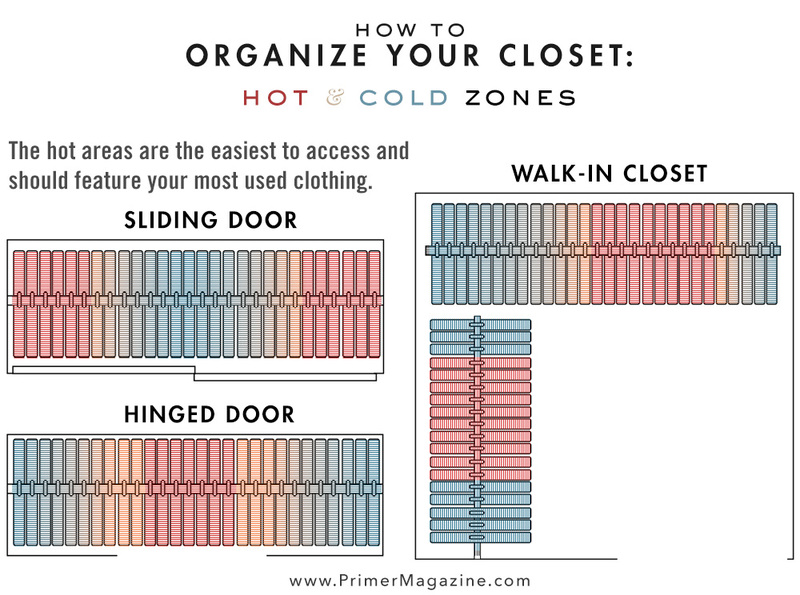 For a step-by-step guide, check out our 9 Closet Hacks That Will Help You Dress Better. Primer takes you through the whole process and suggests different closet organization schemes for a variety of spaces. One simple trick you can do right now: turn all of your hangers in the opposite direction, then turn them the right direction after you wear a specific piece. At the end of the month, look at which hangers are still facing the wrong direction – those are items you can cull. Another trick that takes 41 seconds to learn: Check out this guide to folding shirts with a technique that minimizes wrinkles and saves space! More style items means more tools in your style toolkit. It gives you more versatility in responding to the expectations of different occasions and social situations. On the road, however, this becomes a challenge. How many times have you been up the night before a trip trying to decide: charcoal blazer or navy blazer? Learn the interfold trick, and never have to make hard style choices again. 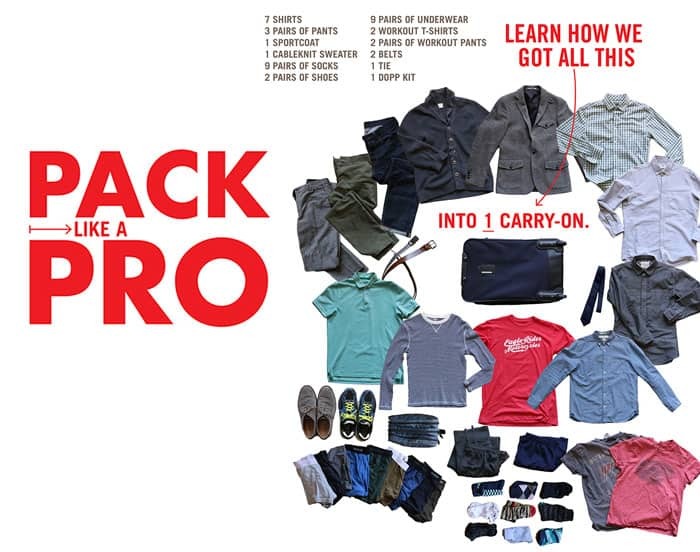 We love the interfold method so much we created a gorgeous visual guide: Pack Like a Pro: Learn How We Got All This into ONE Carry-on. Give it a try and you’ll be amazed by the space-saving results. You know the moment: you realize your favorite button-up is no longer able to fulfill its duty. All clothing has a natural lifespan. Similarly, most clothing items have a weak point – whether it’s the seat of a pair of jeans or the area around the collar of a t-shirt. The same is true of button-ups – when the collar no longer folds cleanly and crisply along its intended crease, the useful life of the garment is basically over. 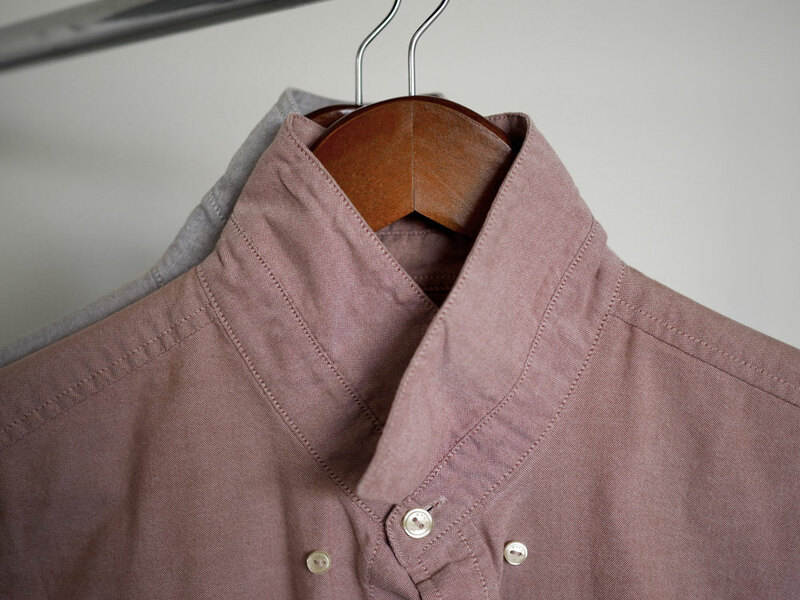 Pick up this style trick to extend your shirts’ lives: launder and store them with collars flipped up. Doing so reduces stress on button-down collars and – for all collared shirts – prevents the collar crease from becoming corrupted. 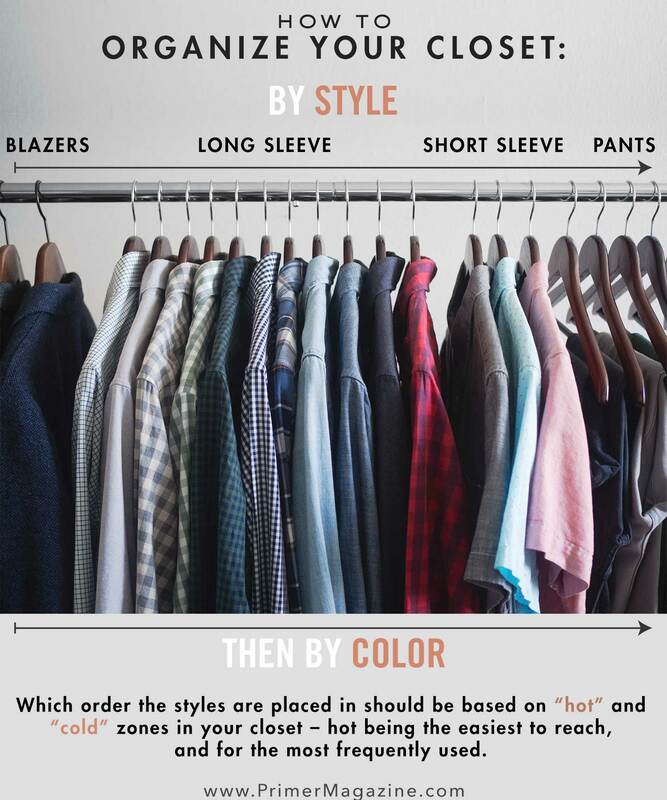 For more details, check out our guide to extending the lives of your favorite shirts. When cold weather is around the corner, it’s time to pull your sweaters out of deep storage. 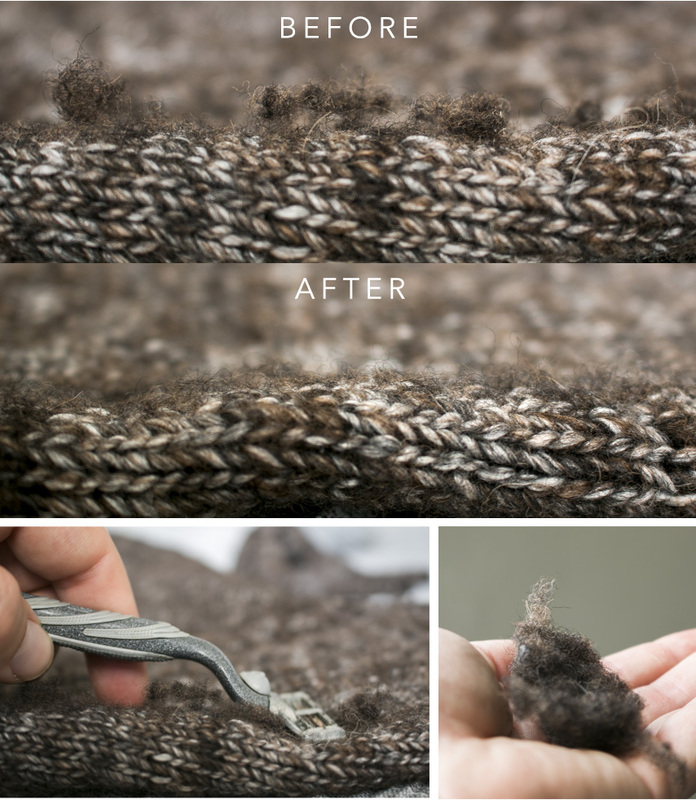 There’s just one problem: your sweaters look like the shaggy, wooly sheep that made them. It's a problem for all sweaters, but especially common for more affordable options. De-pilling your sweaters the wrong way (i.e., by pulling on the pills) can wreck the garments’ structural integrity. Doing it the right way, however, is super easy: grab a disposable razor and gently glide it across the surface of the sweater. The razor will cut loose the worst of the pilling while leaving the rest of the sweater untouched. Don’t believe this works? Check out detailed photographic proof. Have you ever had this moment? 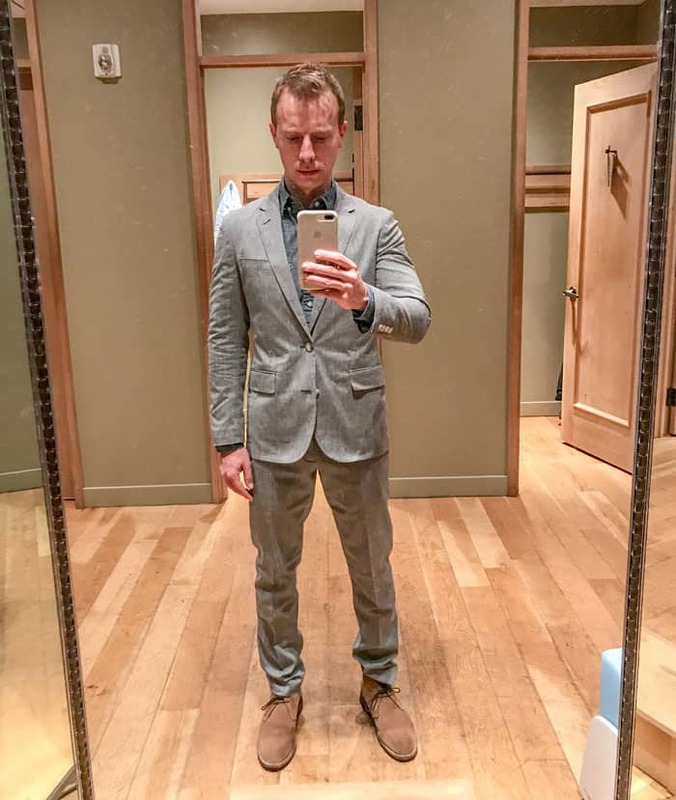 You’re in the fitting room trying something on, but the image in the mirror doesn’t line up with what you saw in your head when you picked it out. Maybe the colors aren’t quite what you expected. More commonly, you’re not sure if it fits right. First, for each item bring in one size up and down from what you think will fit. This is simply about efficiency. Second, compare what you’re seeing in the mirror to a reference photo. This can be the product photo on the retailer’s website, or a similar item from a Getup. This will quickly show you if the sleeves are too baggy, the shirttail too long, or if pant legs have too much break. Using a reference image removes the need to try to evaluate fit all on your own. After all, professionals took these photos – lean on their expertise! Third, remember clothing also has to fit when you’re moving around in your life. Instead of just standing in the changing room to evaluate if something fits, make sure you sit down, cross your legs, do a pushup or two – anything you normally do when you’re walking around during the day. The third step is super important. When is your body at its most svelte? Right after a hard gym session? First thing in the morning? Think about it: you’re at your slimmest when you’re standing up and practicing good posture, i.e., checking yourself out in a changing room mirror. It’s also the most unrealistic way to see if something fits. Americans spend over $13 billion a year on jeans. And we throw away 13 million tons of clothing each year. Here’s a style skill you can acquire to lower both of those numbers… by a tiny bit. 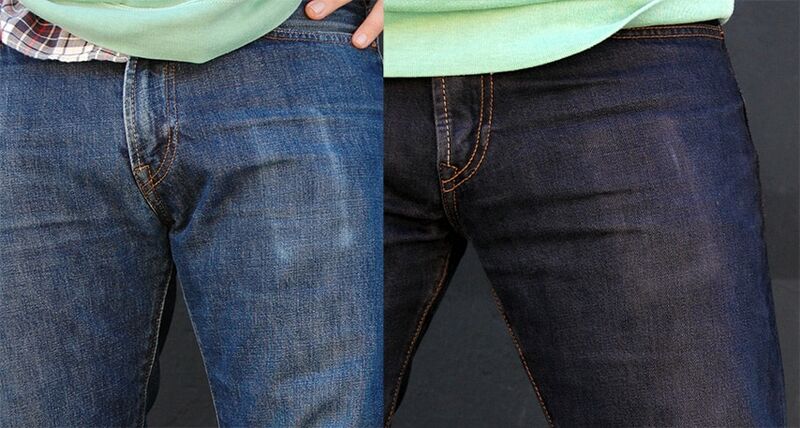 For about five bucks, take your old, faded jeans and revive them by doing your own dye job. We have our very own DIY guide to dyeing your jeans – so check it out here. One of the biggest benefits? It helps minimize the damage from cell phone and wallet outlines. What’s your go-to DIY style skill? Pitch it in the comments below and we’ll feature the best in our next style skills roundup! I’m not so sure about the tailoring your own clothes one, or the method suggested in the video. Sure it’s possible, and I tried doing it for a bit. I tried something similar to the one in the video, whcih is basically wearing it inside out then getting someone else to pin where it fits, and sewing along where the pins are. This breaks after a few weeks/months of wear and tear and ruins the shirt. I’ve also tried the method of doing it properly. Unpicking the existing folded-over seams, recutting it to the right size and sewing it closed again with a folded-over seam. This takes ages!!! So it’s only really either the easy way for shirts you don’t plan on wearing much, or the hard way if you don’t value your time very highly (e.g. if you’re a student with loads of time). Oh and you need to already have a multi-hundred-dollar sewing machine!